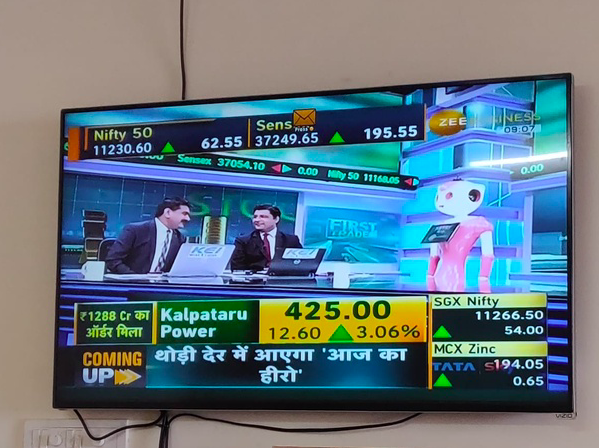 Meet The Newest Finance Expert on Zee News - Mitri Robot - Invento Robotics: Robots for customer engagement. Not everyday you get an opportunity to host a Live news telecast with a powerful personality like Anil Singhvi! Mitri is going places. This effort to have Mitri on live national television to expose robotics, especially humanoids, to the common mass. 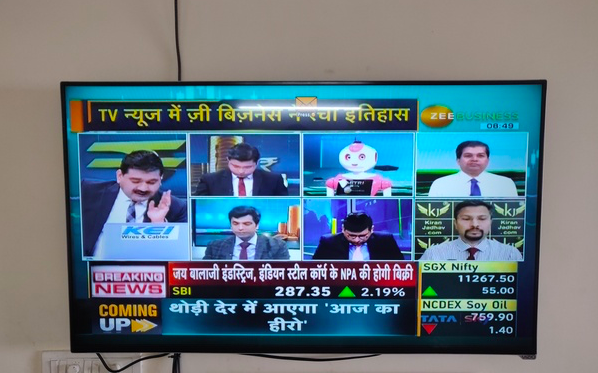 After the succesful execution of the episode, the Zee team is also trying to emulate similar live news sessions on their regional channels as well. On the sidenote, this telecast is also an answer to those media who said our female robots do low-end jobs while male robots do the prestigious tasks. The Mitri is breaking glass ceiling talking about markets and business. Don’t be too quick to judge our products. Thank you Penny!I appreciate that very much.